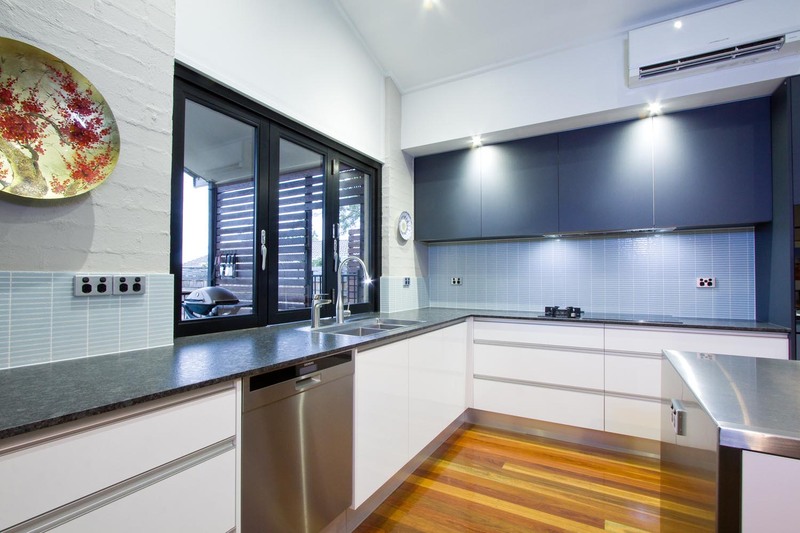 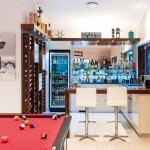 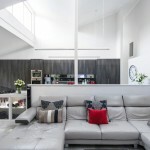 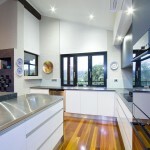 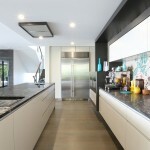 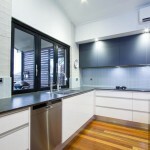 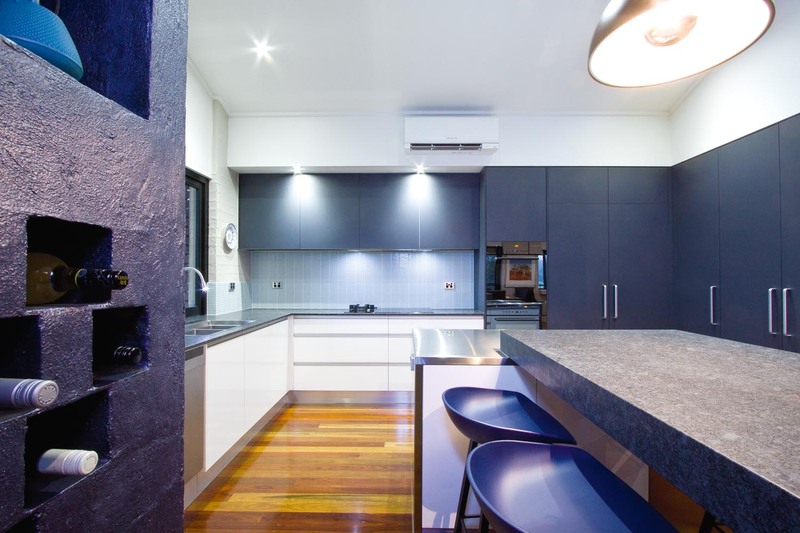 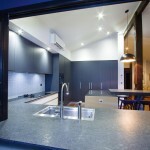 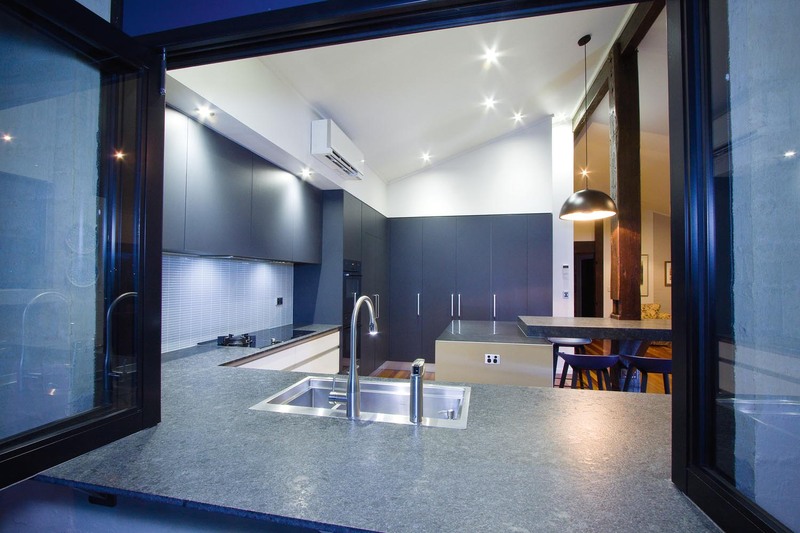 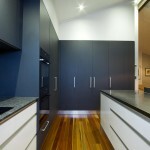 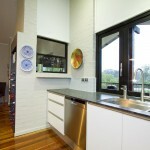 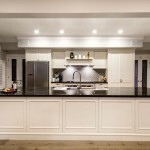 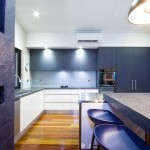 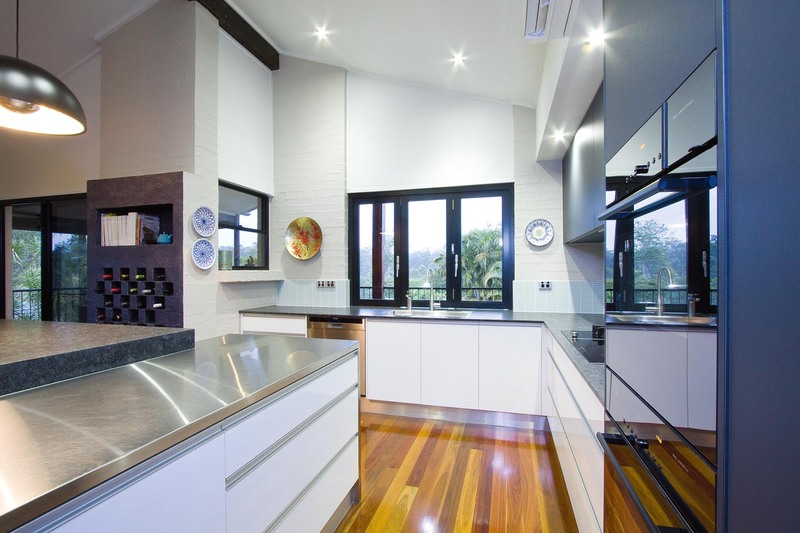 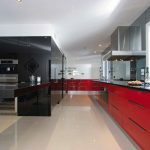 “This kitchen makes a sophisticated statement in its arrangement and celebration of materials. 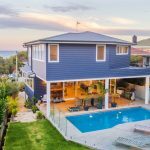 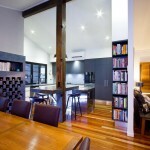 The structure of the design hinges on the strong timber post and beam. 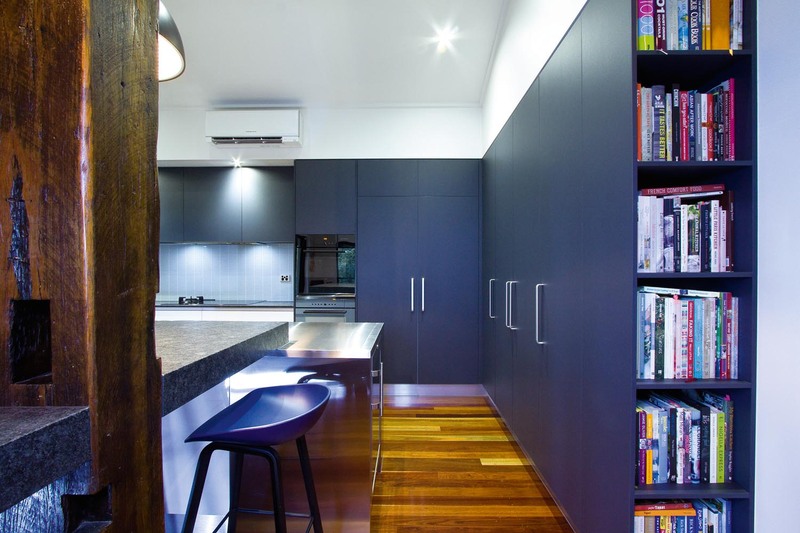 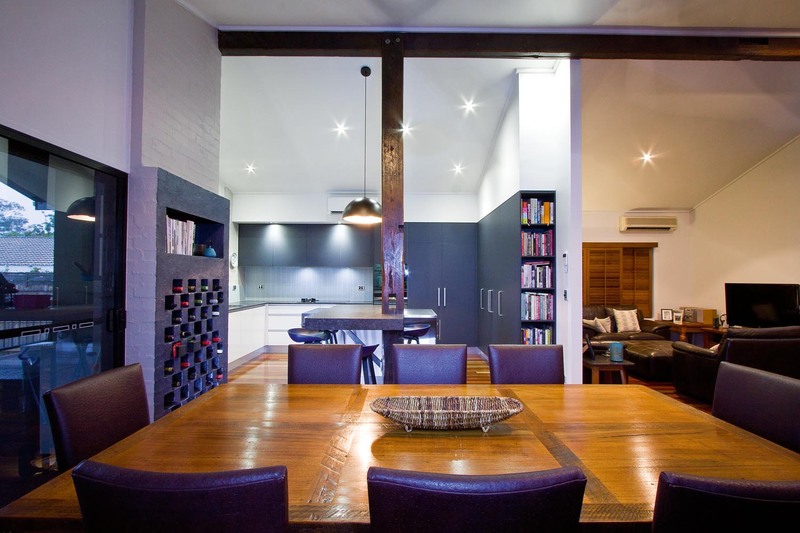 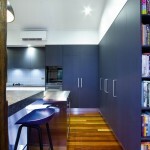 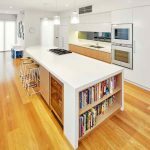 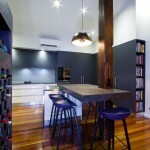 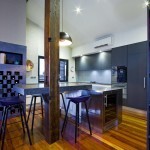 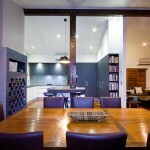 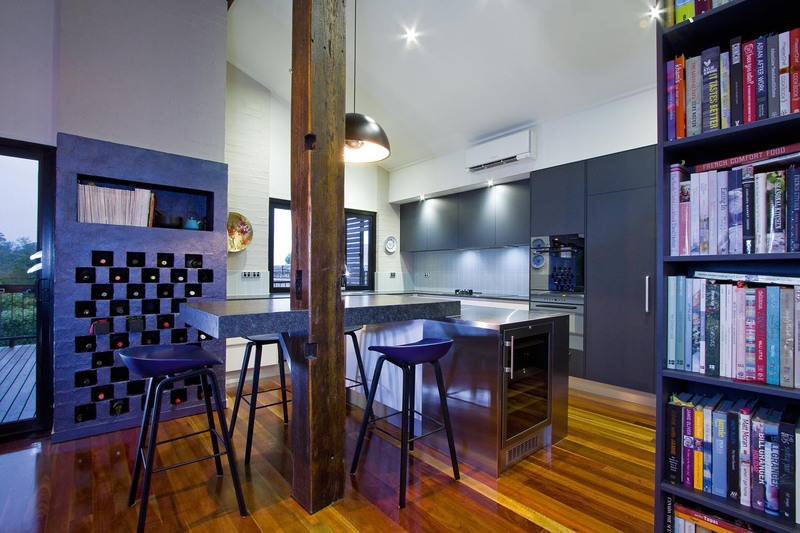 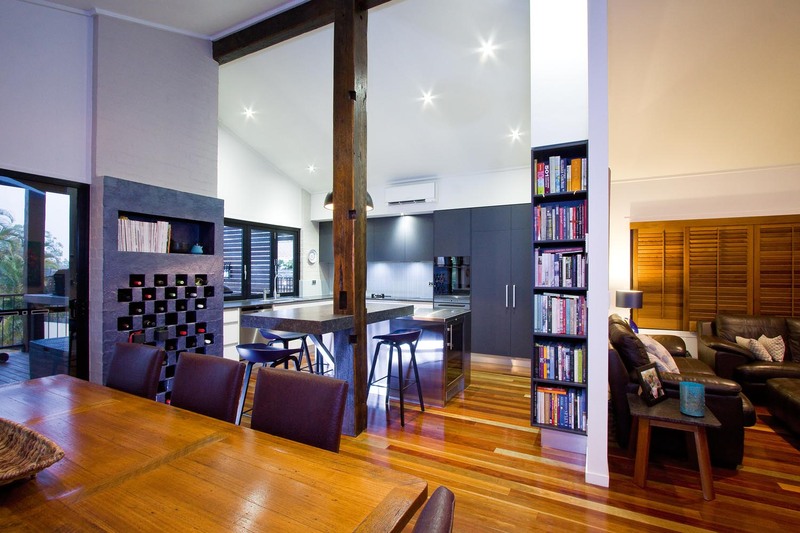 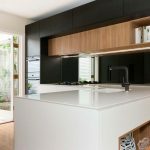 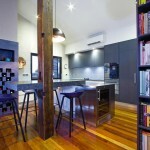 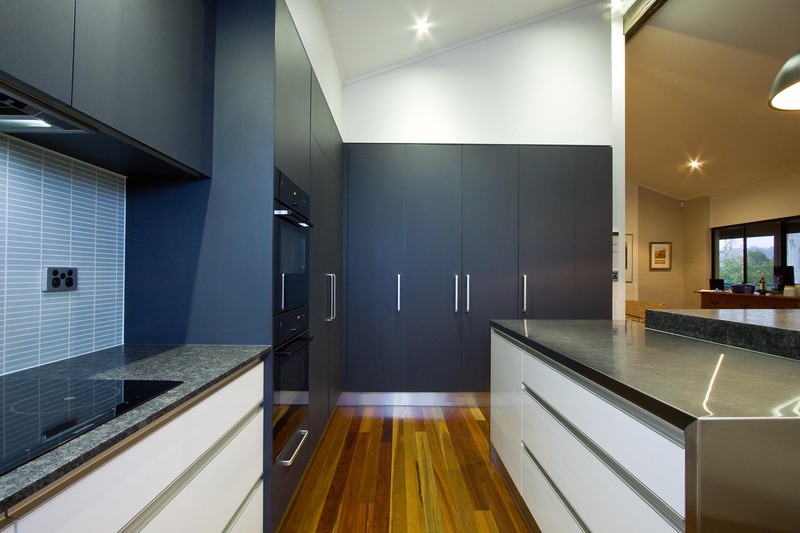 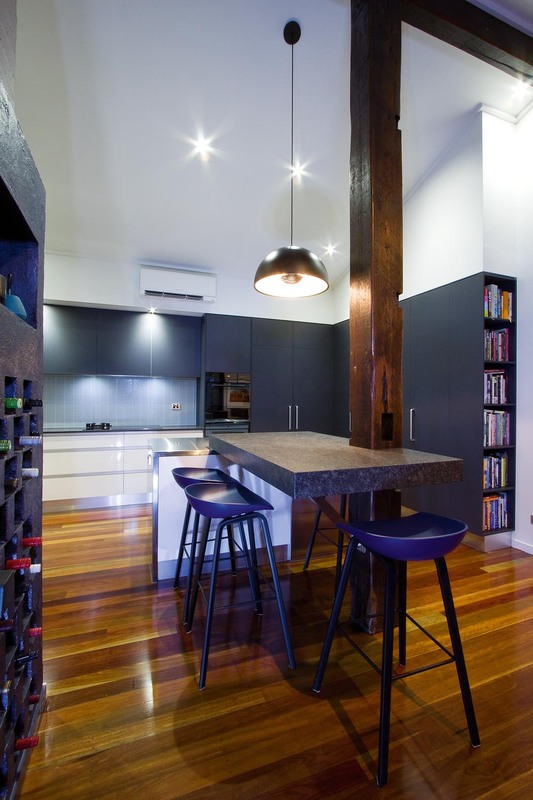 While sparse, there is a richness of timber in the exposed structure that gives the kitchen character. 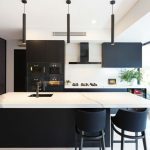 A restrained palette of charcoal and white lets the texture and quality of the materials stand out, while the handle-free design infuses it with the sleek, modern feel the client wanted. 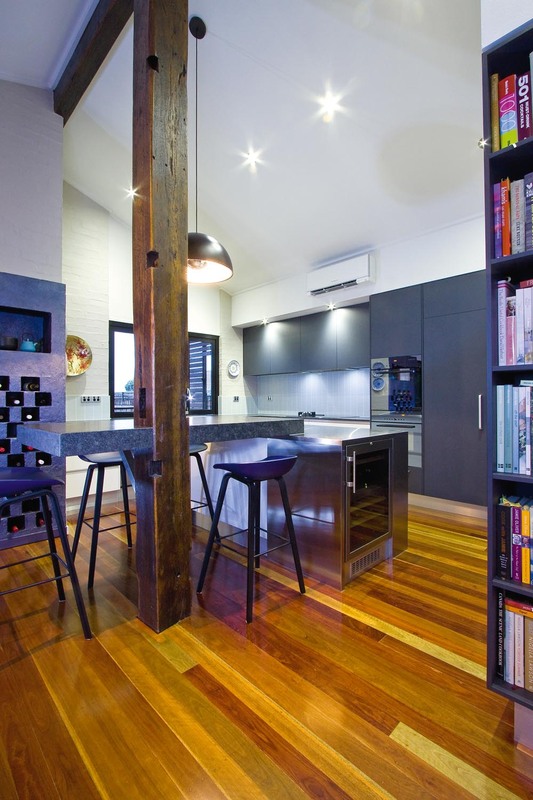 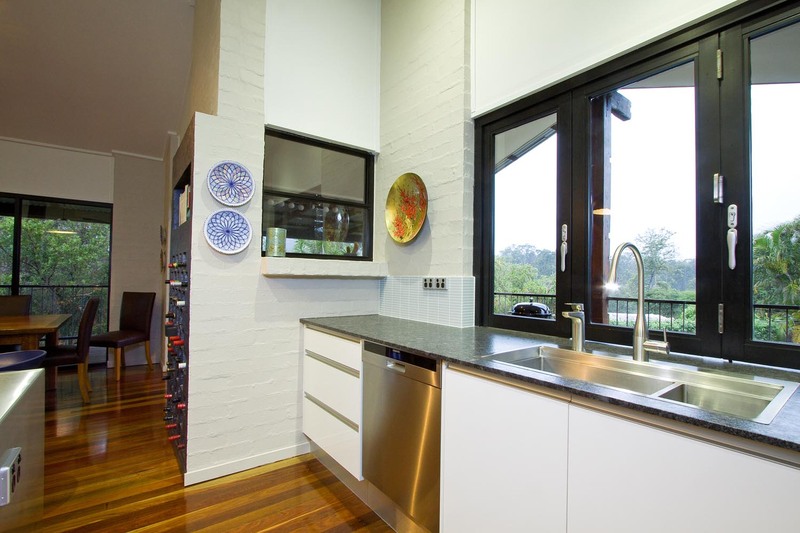 Brushed granite, stainless steel and Laminex finishes have been chosen to complement the existing wine brick wall, so the kitchen flows effortlessly into the large central living area.